Hi This is a reply gave to a similar question a couple of months ago. 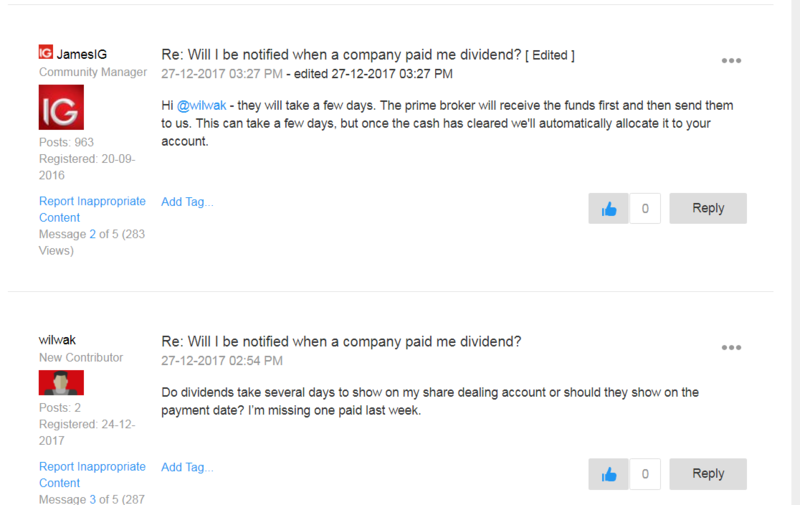 Hi, regarding something similar, how do I know if the shares I've selected will pay me a dividend and when? I'm sure I've selected companies that pay dividends but didn't see any payments yet.